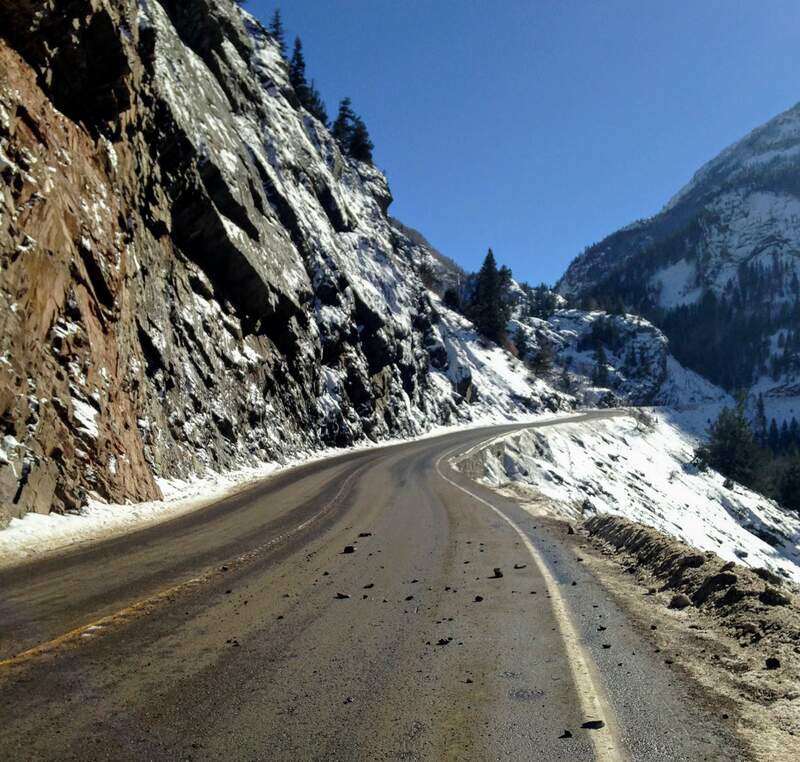 Four more days of lengthy closures are required for emergency cliff work on Red Mountain Pass, which will affect traffic on Wednesday, Saturday, Sunday and Monday, depending on snow activity. Southbound traffic will be stopped just south of Ouray, near the Bear Creek scenic overlook, and northbound traffic will be stopped at Ironton. The road will be closed from 7:30 a.m. to noon and from 1 to 5 p.m., with a one-hour window to move through from noon to 1 p.m. The breaks in weather on those days will allow the Colorado Department of Transportation to complete the project that will reduce the potential for rocks falling onto the road, said CDOT Project Manager Jeff Reichle, in a news release. Reichle said it is advantageous to complete the work now rather than calling the contractor back to the site next spring. All dates are subject to inclement weather, which could postpone work until the next available clear weather day. Crews are repairing the draped netting that hangs on the face of the cliff wall that traps falling rocks. For road conditions and travel information, visit www.COtrip.org.